This weekend (Saturday December 12 at 6pm EST), Hall of Fire will be chatting about the Noldorin elf often often considered the antithesis of Fëanor — his half-brother, Fingolfin. Fingolfin is a central figure in the history of the Noldor during the First Age. His rivalry with Fëanor provides fruitful ground for Melkor to stir up trouble. His promise to Fëanor is fateful, tying him and his kin in ways that none could have envisaged. And his leadership is crucial in holding the Noldor both in crossing the Helcaraxë, and during the early years in Beleriand. Yet his death may only be second to his elder brother’s in its folly. Does that make him closer in thought and character to his brother than many acknowledge? In what ways is Fingolfin similar to his brother? And in what ways is he different? Join us this Saturday at 6pm ET when we’ll examine these questions and more as we chat about Fingolfin, the High King of the Noldor. 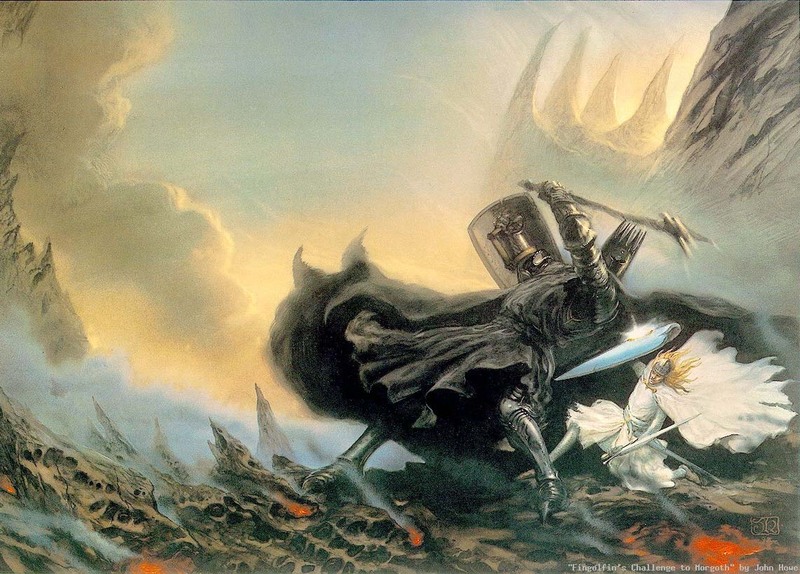 Fingolfin and Morgoth by John Howe.